Reading – Finished 2 books so far, The Firebird by Suasanna Kearsley and Traveling Light for Mothers by Max Lucado. Choosing my next book as soon as I post this. Time Spent Reading – Took breaks to make lunch for my kid and to prep for the hot tub. Other than that, reading. Where – I did make a trip to the hot tub with my book. Bliss. Oh yummy, pie! I have a bag of dark chocolate truffles for a treat. It’s almost time for me to go back and finish the pie! Sounds like bliss, having a book and a hot tub. What is that chocolate thing? 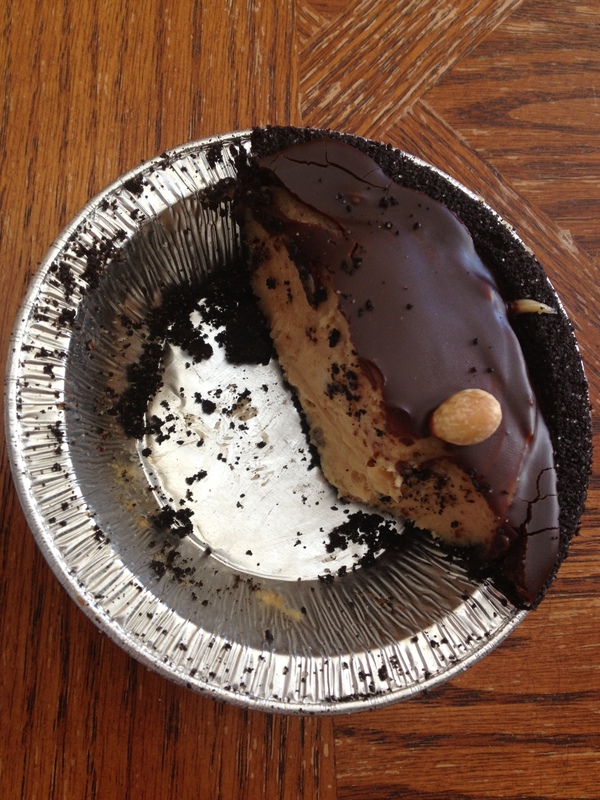 Peanut butter pie covered with dark chocolate. Perfection!